10 Cheap Hotels In Dubai - Travel Tips - TryThis! Dubai is one of the world’s top destinations when it comes to luxury, which means it is not usually the first place that springs to mind when planning a budget break. However, it is possible to stay in Dubai without breaking the bank and, with the emirate focusing on creating more mid-range hotels, there are only going to be more options for doing so in the future. 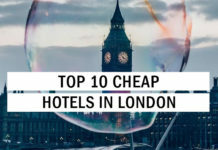 Fortunately, there are already some excellent places to stay if you are looking for affordable accommodation with a splash of Dubai style. 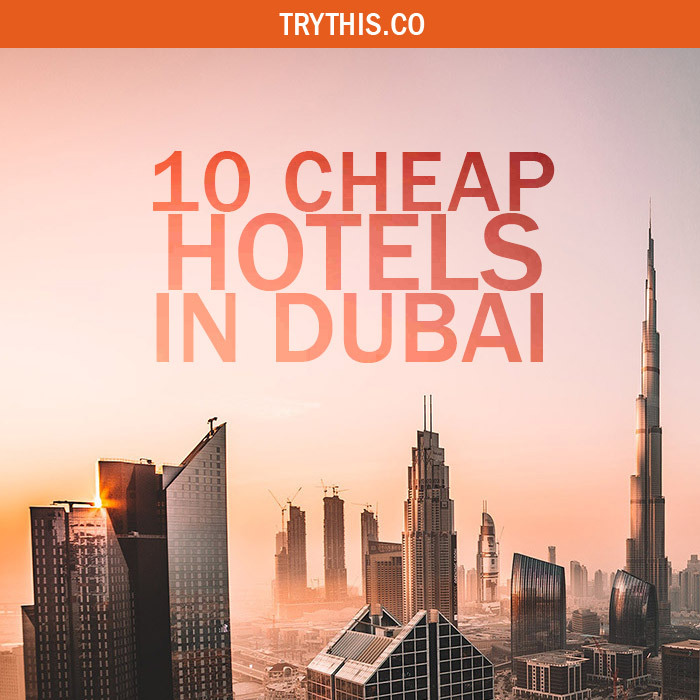 We have put together a list of the top ten cheap hotels in Dubai, which includes some truly tempting options that pair classic Dubai luxury with a more affordable price tag. Combining oriental hospitality with Arabian luxury, Asiana Hotel offers five-star service at an excellent price. This establishment prides itself on offering a tranquil environment in the heart of the city’s financial center, with its decor and ethos influenced by traditions of the Far East. It is not only a visual treat but also has positive reviews from the guests remarking it as one of the many cheap hotels in Dubai. 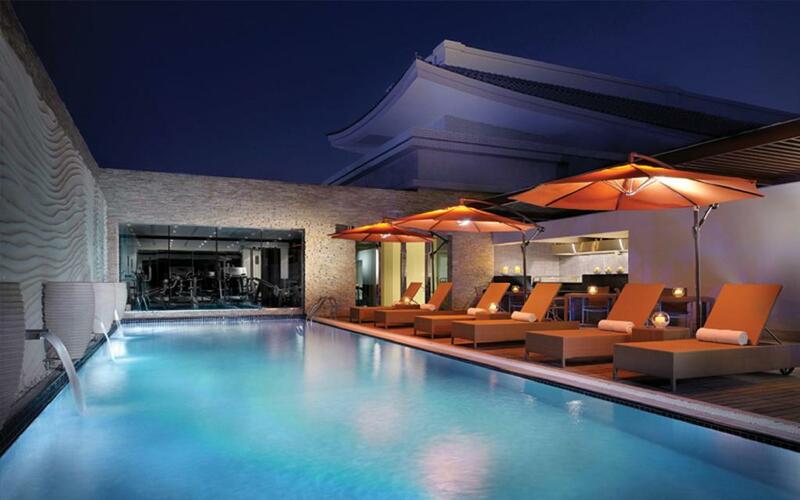 This is also a great hotel to choose if you are a food lover, as it offers Japanese, Korean and Filipino cuisine. Plus, it is home to a great comedy bar and even a nightclub, meaning that whatever relaxation means to you, you can find it here. This establishment undoubtedly holds the number one position in the list of cheap hotels in Dubai. 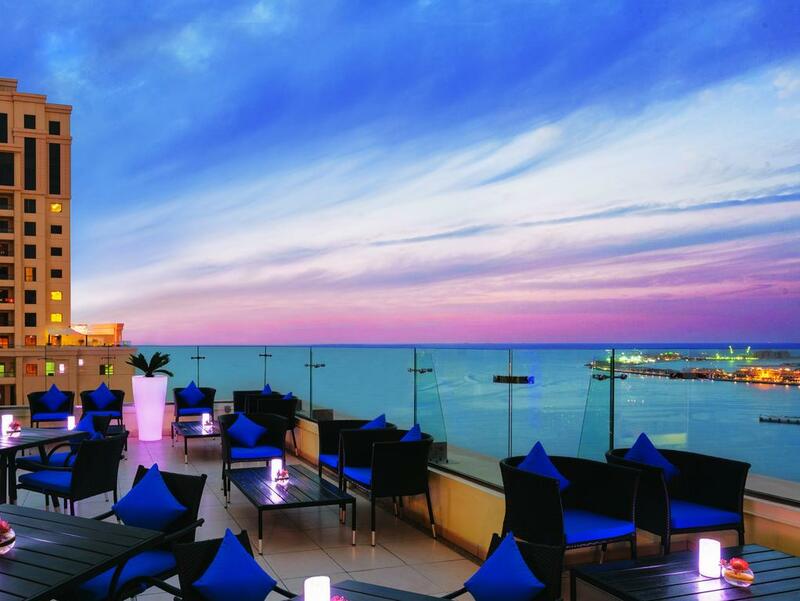 Situated next to Jumeirah Beach, Marina Byblos is the four-star hotel is perfect for travelers who want to be in the heart of the action and have a colorful nightlife. Perfectly located for relaxation thanks to its proximity to the beach and its onsite spa, this extraordinary hotel definitely makes it to the top ten list of the cheap hotels in Dubai. The hotel is also home to a great mix of nightclubs and bars, meaning you do not even need to leave the hotel to have an incredible night out. Choose from a selection of rooms and suites, all of which give you a great location not only close to the beach but the vibrant The Walk, tempting restaurants and more. 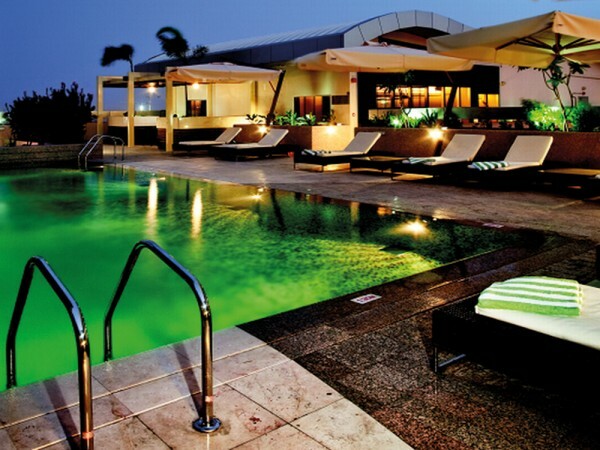 The hotel also has a rooftop swimming pool, health spa, beauty salon, and gym. Holiday Inn will be a familiar name to UK holidaymakers, and it is a reliable choice for a trip that does not break the bank. Holiday Inn Al Barsha is located on Sheikh Zayed Road, close to the Mall of the Emirates and Jumeirah Beach – a great location for relaxation and shopping making it in the list of the cheap hotels in Dubai. It also has lovely views of the stunning Burj Al Arab, not to mention a host of great facilities – thinks a terrace pool, a variety of restaurants and even lives entertainment. Got a thing for shopping? Then Ibis Dubai Mall of the Emirates is just the answer of all the shopping fanatics out there, as it is amongst the best cheap hotels in Dubai. This one is brilliantly located at the Mall of the Emirates, which is one of Dubai’s top tourist attractions and best shopping locations. It is also close to the beautiful Jumeirah Beach, and the hotel offers a complimentary regular shuttle to take guests there. With comfortable rooms, all equipped with an LCD flat-screen TV and a great location next to the emirate’s top attractions, the Ibis Dubai Mall of the Emirates provides a great place to stay without the high price tag. Located close to the Mall of the Emirates, DoubleTree Al Barsha provides luxury at great value for money, that strikes up as one of the many cheap hotels in Dubai. This contemporary hotel is perfectly located for those wanting to stay close to the emirate’s top attractions – the nearby Metro, just a ten-minute walk away, can whisk you to Downtown Dubai in a matter of moments, while there is plenty to do in Al Barsha itself, which is packed with shopping, dining and entertainment options. Each guestroom is air-conditioned and offers a mini bar, 42-inch TV, and an elegantly designed bathroom. The hotel itself has plenty of excellent amenities, including an outdoor pool perfect for a relaxing dip, a 24-hour fitness center, and a selection of tempting all-day dining options. Plus, there is a complimentary shuttle service to the beautiful Jumeirah Beach and the Mall of the Emirates. This four-star hotel is another option that pairs a little luxury with an affordable price tag. Boasting great views of both Palm Jumeirah and Dubai Marina, the Ramada Plaza Jumeirah Beach benefits from an excellent location that places you at the heart of many of the emirate’s famous attractions which makes it as one of the best and cheap hotels in Dubai. Here, you can choose from spacious studios, apartments, and suites. Studios feature a balcony, while the apartments and suites both provide a separate living area and kitchen – ideal if you are looking for a home away from home. Holding an important position amongst the best cheap hotels in Dubai, the hotel’s facilities include a heated outdoor pool, a sauna, six restaurants serving different cuisines from around the world, and a children’s playground, making it great for families and those seeking a little relaxation. 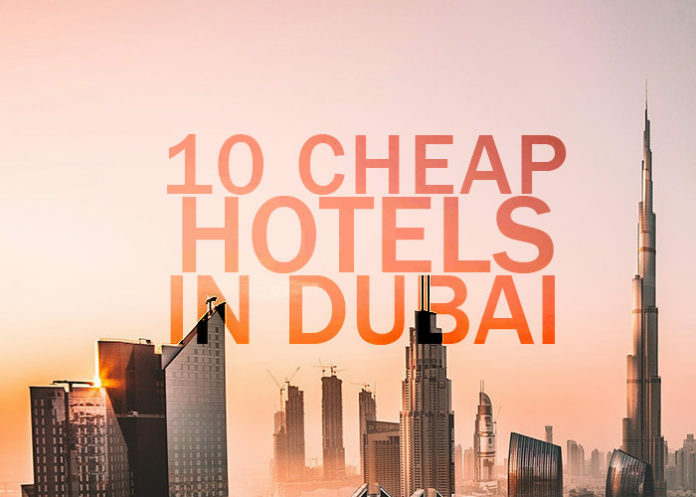 With a wide range of travelers from all over the globe rating it as one of the cheap hotels in Dubai, this luxurious budget-friendly stay should not be missed! Located just off Sheikh Zayed Road, Marmara Hotel Apartments sits in the heart of New Dubai, meaning top attractions such as the Mall of the Emirates and Ski Dubai are just moments away. 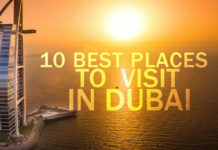 And yet more attractions still can be reached in mere minutes on public transport or by car, including The Palm, Dubai Mall, Dubai Marina Walk and the iconic Burj Khalifa – the world’s tallest building. Marmara comprises one, two and three-bedroom suites, all of which has a master bedroom with an ensuite bathroom, a fully equipped kitchen, and a separate living room. This helps to create a real “home away from home” feel, so it is just as perfect for long stays as short. The hotel offers a unique experience amongst the many other cheap hotels in Dubai. 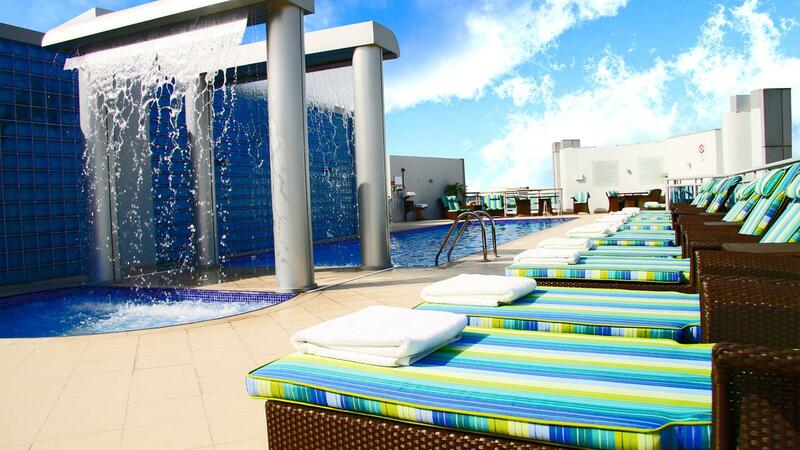 There are plenty of great extras too, including a rooftop pool, places to eat, a daily buffet breakfast and more. 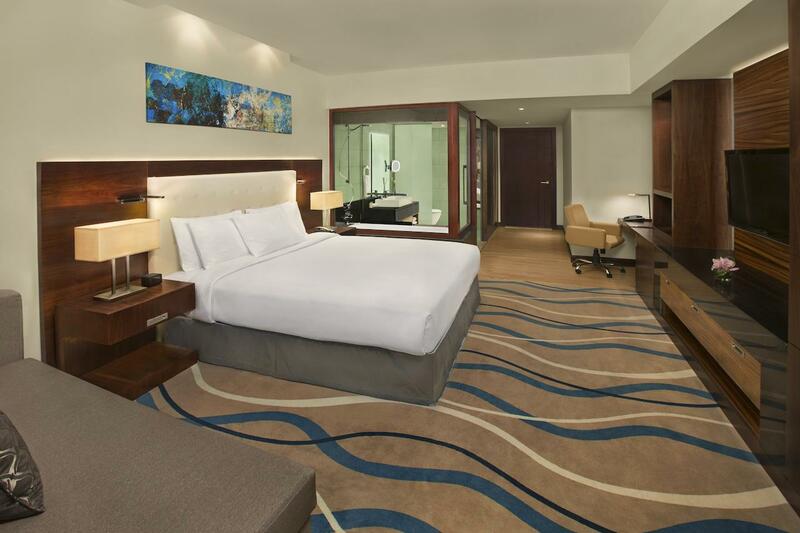 Perched in the center of Dubai’s business district, the Crowne Plaza is among the best cheap hotels in Dubai for its convenient location and is a great option for both work and play. As well as being conveniently located near the Metro and Dubai World Trade Center, there are also complimentary shuttle services to unmissable attractions like the Dubai Mall and Kite Beach. What is more, there are plenty of ways to relax at the hotel – think soothing massages, indulgent steam baths and delicious meals and drinks at the on-site restaurants and bars. 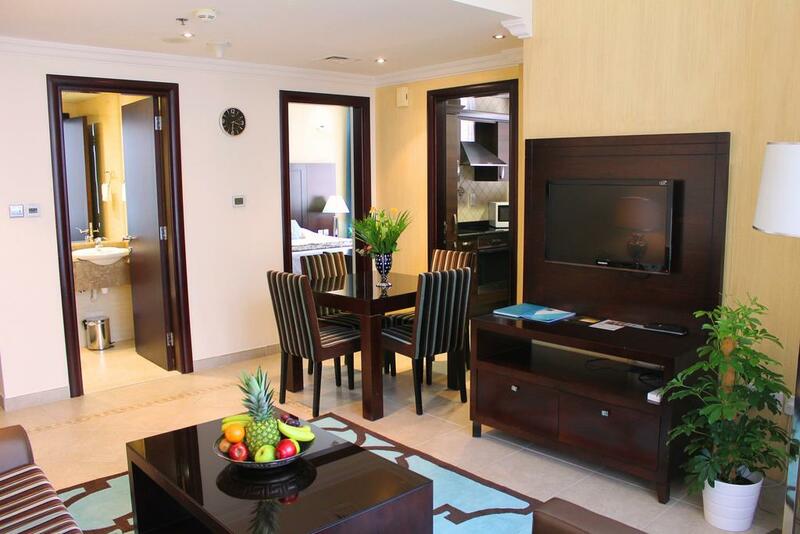 Home to more than two hundred apartments, Marina View Hotel Apartments provides spacious luxury, making it a unique choice for accommodation among the best cheap hotels in Dubai. Beautifully decorated and with all the amenities you could need for your stay, including kitchenettes, they provide the perfect place to stay if you are looking for a little more space and a few more conveniences than is offered by the average hotel. 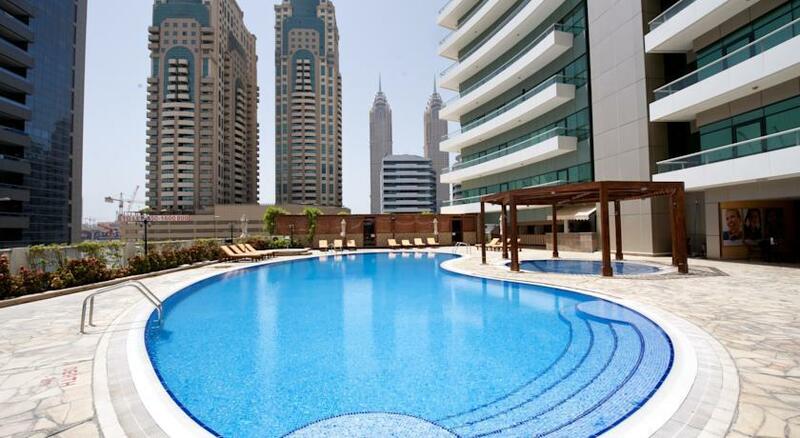 Apartments come with a view of either the marina, Sheikh Zayed Road, or the swimming pool. Studio apartments cater for up to two people, one-bedroom apartments two to three, and two-bedroom apartments four to six. The contemporary Time Oak Hotel is situated in the Barsha Heights area of Al Barsha, meaning it is near to both leisure facilities such as golf courses, the Mall of the Emirates and JBR beach, as well as business districts such as Media City. It is also handily close to the Metro, making it easy to get around. 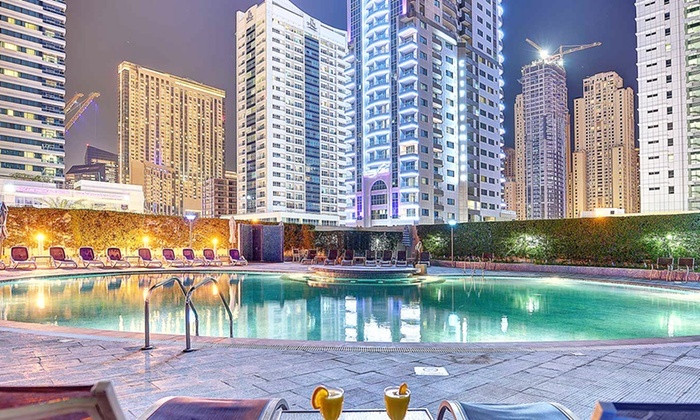 This one of a kind hotel amidst the other cheap hotels in Dubai houses a mix of more than two thousand rooms and suites, the latter coming with a fully equipped kitchen and washer and dryer facilities, this hotel is ideal for both long and short stays. Plus, there are several excellent places to eat, as well as 24-hour in-room dining for when you really just want to relax and do as little as possible.